Belmont School is very proud of its attendance record, which has consistently been above 94% in recent years. We recognise that pupils want to be here and want to learn. 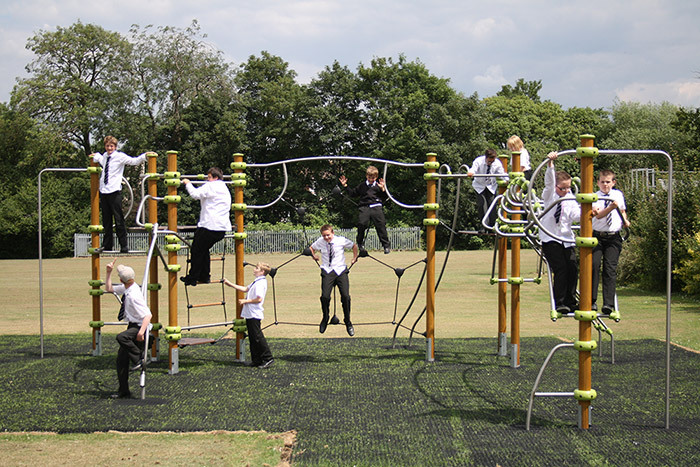 The Local Authority fully supports our attendance aim which is to achieve outstanding attendance and ideally there should be no unauthorised absence. Parents are responsible in law for ensuring that their child/children attend and stay at school. Parents should inform the school as soon as possible of the reason for any absence. If a child is absent and no message has been received then the office administrator will phone the parents/carers to investigate the reasons for absence and advise whether this absence is authorised or unauthorised. The Attendance Officer has a duty to check school registers and will follow up irregular or persistent absence for which there has been no satisfactory explanation. Registers will be marked in school giving the reason for absence eg illness or medical appointments. 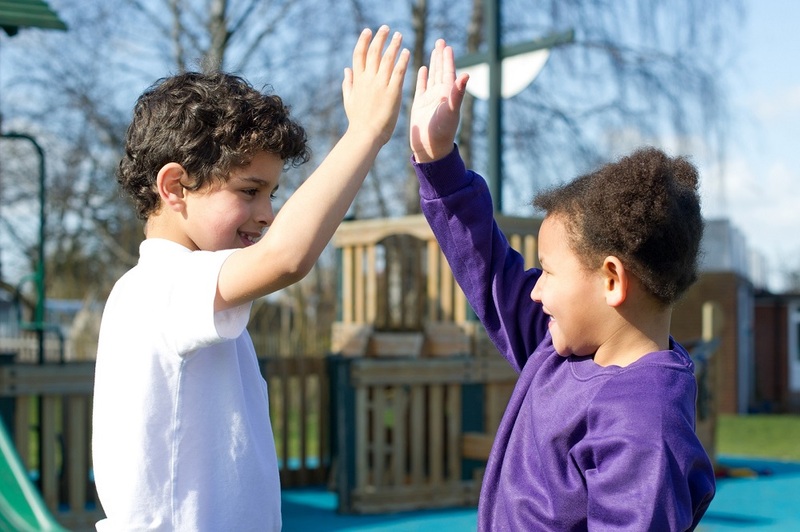 When you know in advance that your child will be absent from school (eg doctors or dental appointment) it would be helpful to let us know before the date in question either by emailing the school office: reception@belmont.gloucs.sch.uk; telephoning the school office on 01242 216180 or writing a note to your child’s tutor. However we do request that routine medical appointments and dental appointments are booked out of school hours. 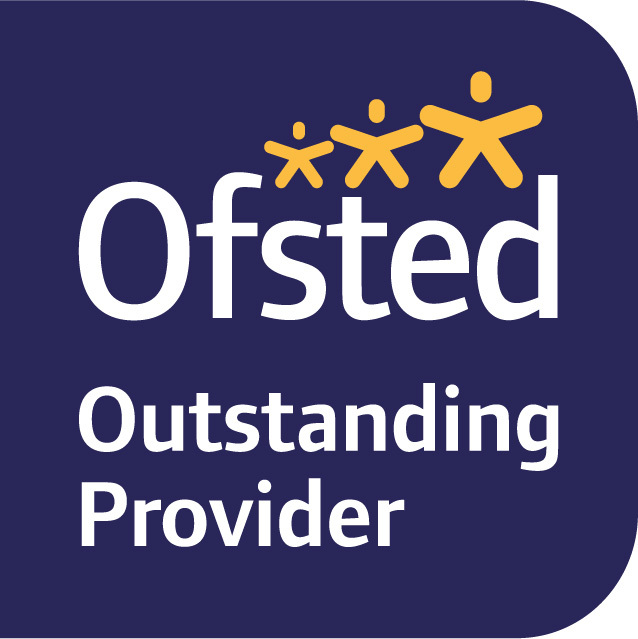 We do understand that specialist appointments are allocated to yourselves with little chance of change but we do appreciate every effort made to ensure that your child does not miss any of their schooling . Government regulations, implemented from 1 September 2013, state that Head teachers may not grant any leave of absence during term time (eg family holidays) unless there are ‘exceptional circumstances’. Applications must be made in advance of leave and the Head teacher must be satisfied that there are exceptional circumstances based on the individual facts and circumstances of the case which warrant the leave. A leave of absence is granted entirely at the Head teacher’s discretion. An Application for Leave of Absence form is now available from the school office or click here to download. Please ensure that this is completed also to alleviate any concerns about the wellbeing and safety of the child. Where no notification has been received, or the reason is unjustified then the absence will be recorded as unauthorised. Unauthorised absences are published nationwide and include truanting. It is important to note that the regulations state that absences can be authorised only by the school, not by the parents. Tutors and Key Stage Leaders have been raising attendance awareness across Belmont with our pupils. 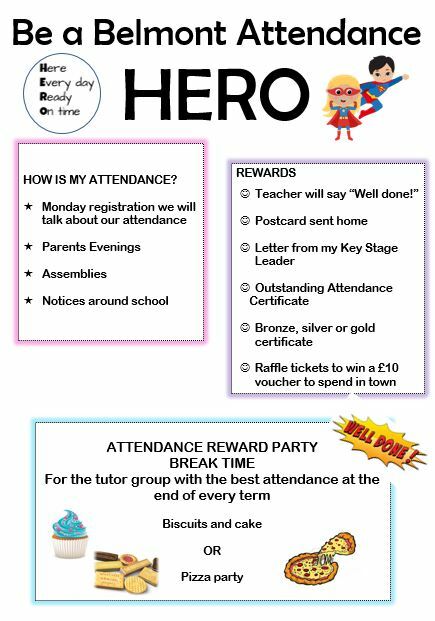 We have created the Belmont Attendance Hero which we hope will encourage pupils to attend school as often as they are able to. For the tutor group with the highest attendance rate at the end of every term there will be the option of a pizza party or biscuits and cake – this will take place at break time! Tutor groups will be discussing attendance every Monday in registration and each term personal attendance goals will be set and tracked. Parental conversations will include attendance feedback to parents and carers. Please refer to the Belmont School’s Attendance Protocol 2019 and our Attendance Policy for further information.